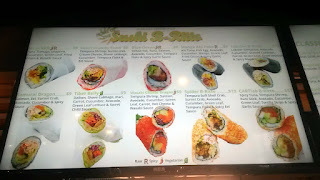 After enjoying Wasabi Sushi at its Happy Valley Station food cart location, I headed to Cartlab, an indoor food court and bar near Portland's South Waterfront, to check out Alex's next location. Cartlab opened at the beginning of November 2016, and the food lineup is already a solid one. Bo Kwon's KOi Fusion is there, with PDX Sliders, FOMO Chicken, Tight Tacos, Gelato Maestro, and Wasabi Sushi. A lovely array of cuisines. If that's not enough, there's a full bar and several televisions, so it should be an ideal sports bar hangout to watch the game. If anything, you'll have to pay for parking, and street parking is usually a 2-hour time limit (so you may want to park in one of the parking structures if you plan on staying longer). Alex also told me that he has opened another food cart at the Tidbit pod (SE 28th and Division). 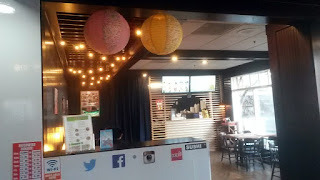 The grand opening for that spot was just held this past Saturday (December 10). The cart at Happy Valley Station also remains. It's really the same menu as the HVS cart. 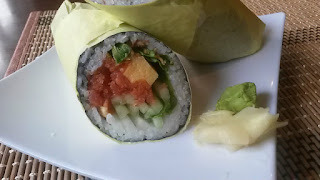 Again, I aimed for the sushi burritos that we seriously need more of in Portland. 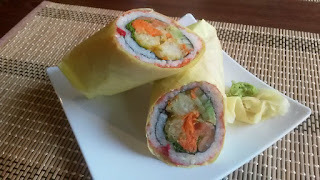 I tried the Wasabi Cheeto Dragon sushi burrito ($9). Tempura shrimp, salmon, avocado, cucumber, green leaf lettuce, carrots, hot cheetos, and wasabi sauce. 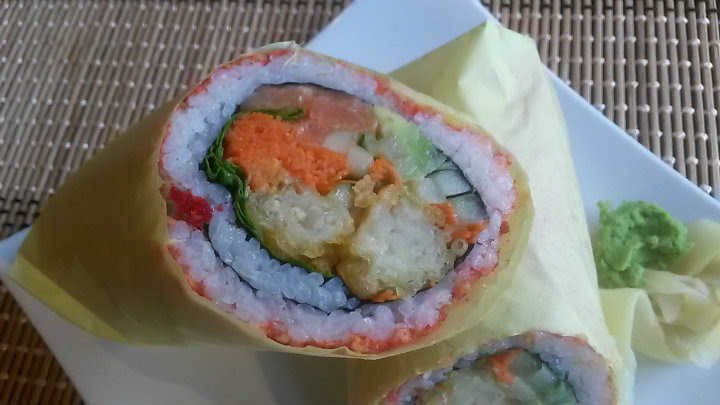 Yup, that's crushed flamin' hot cheetos on the outside of the sushi burrito. 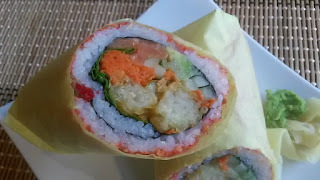 An inside-out roll, with some rice on the outside. Everything goes well together, and the cheetos remain just a supporting cast member here. The wasabi is mild, not overpowering. Very refreshing, and you will definitely get a bit of everything. My friends let me try the Ninja Kick sushi burrito ($9). 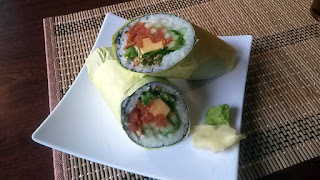 Tuna, tamago (egg) jalapeno, cucumber, green leaf lettuce, fried onion, and wasabi sauce. Again, extremely refreshing. The tuna goes very well with that jalapeno kick. You can even order at the bar at Cartlab. They can bring the food to you, or one of the staff can hand you a beeping pager to come pick up your order.